The energy drink has officially gone artisanal. The switchel—also known during colonial times as haymaker’s punch—was yet another libation born of necessity rather than enjoyment. “Think of it as the original Gatorade,” laughs Catherine Manabat, mistress of Metropole Sunday School, the cocktail education series she started in 2014 while working behind the bar of the downtown hotel. While recipes differ (Manabat’s is below) the base ingredients remain constant: fresh ginger, water, natural sweetener, and vinegar. The anti-inflammatory aspects of ginger combined with the potassium-rich electrolytes from the vinegar and sweetener make for a healthy and potent combination. 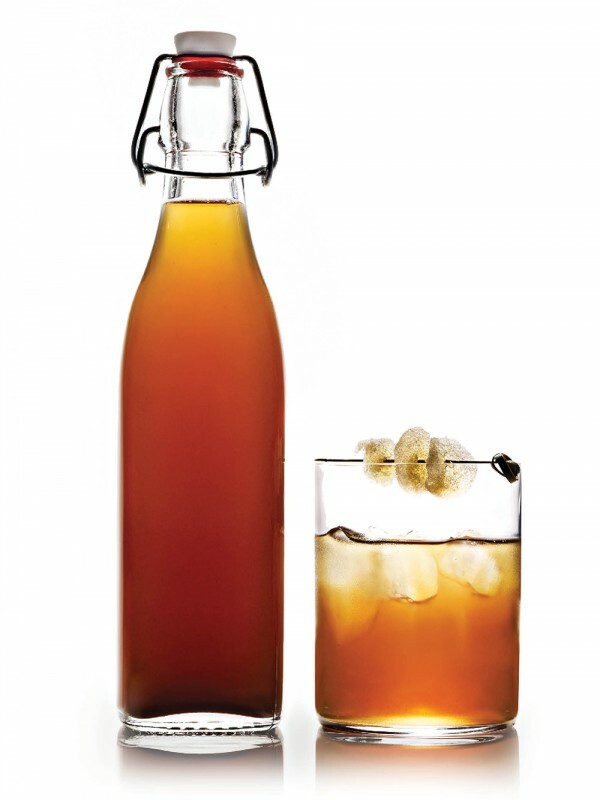 According to Manabat, the switchel’s sharp flavor also accounts for its resurgence in popularity during Prohibition, and the subsequent embrace of it as a cocktail mixer, especially with bourbon and rye. As Temperance tastes have turned trendy again, it has resurfaced in cocktail culture and appears to be here to stay. “Cocktail programs look more like kitchen programs these days,” Manabat says. So, having a non-alcoholic base “heavily rooted in tradition”on hand makes sense. Her recipe was created for an event during the inaugural Cincinnati Food + Wine Classic. Based on a glut of fresh ginger grass and plenty of honey, both from Carriage House Farms, the switchel was frozen for a granita served with Watershed Bourbon Barrel Gin in a cocktail dubbed The Switch Hitter—a big hit with both teams, naturally. 1. Peel and coarsely chop the ginger. Add all ingredients except vinegar to a large saucepan over medium-high heat. 2. Slowly bring up to a boil, then lower heat. Simmer for 45 minutes. Allow mixture to cool. 3. Strain, then add vinegar. Store in an airtight container in the fridge. Mix 2:1 with bourbon or rye.